Why would I want to lead my church to become a disciple-making church when the people I lead are happy with the status quo? Churches across the globe have begun to realize the importance of the biblical mandate to make disciples (Matt. 28:19–20) and are imagining the transformation of the lives and culture where their church exists. Church leaders are dreaming of a congregation and community saturated with mature followers of Christ willing to do whatever it takes to further God’s Kingdom. There are many undeniable and essential reasons. 1. The western church is declining due to a lack of disciple making. Only 9 percent of people who call themselves born again believe absolute moral truth exists (Barna survey, 2009). Biblical illiteracy is at an all-time high. Being a witness for Christ has diminished to simply hanging out with someone who is an unbeliever. Spiritual babes are not only the average believers in the average church, because the church has been slow to make disciples, many churches are led by spiritual babes. Making disciples is the only way the church in the post-Christian era is going to be the church Jesus envisioned when He told us to “go and make disciples” (Matthew 28:19). 2. 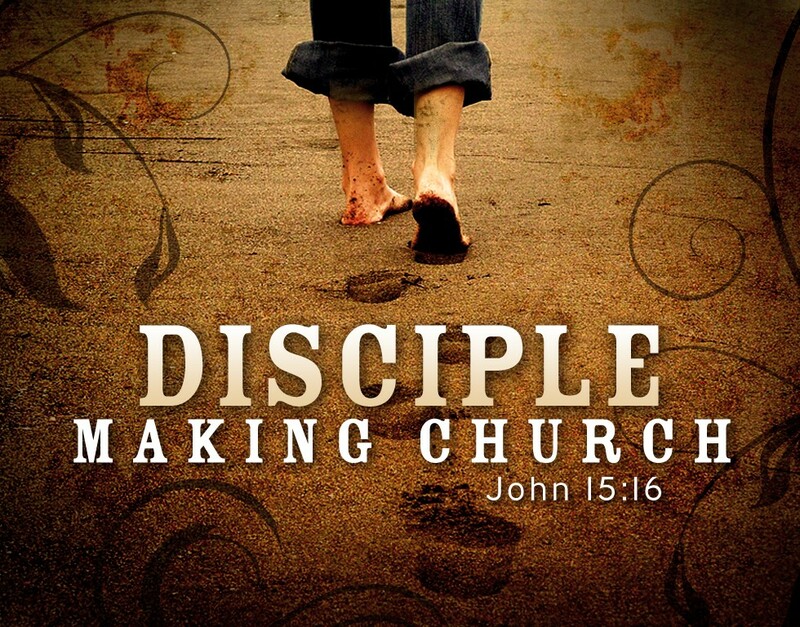 Jesus expected His church to make disciples. Jesus never anticipated that His bride would become a people who simply hosted church events and held weekend worship experiences. He declared that we should, “therefore go and make disciples of all nations, baptizing them in the name of the Father and of the Son and of the Holy Spirit, and teaching them to obey everything I have commanded you. And surely I am with you always, to the very end of the age” (Matt. 28:19–20). Every biblical church is passionate about making the gospel known to the world, allowing those who are in the world to start an eternal relationship with Christ. Mature disciples intuitively tell others about the Jesus who has transformed their own lives. 4. A disciple-making church is never void of leaders. One of the most tragic realities in the present day church is that she is void of the leaders necessary to accomplish the vision the senior pastor has been given. A disciple-making church produces leaders who produce leaders. 5. Disciple-making transforms the church dynamic. Many churches suffer with a church full of immature followers of Christ. Because of this, the church is constantly dealing with petty arguments and unhappy congregants. At the same time, those who visit the church are hesitant to join as they sense the tension and immaturity of the people who make up the church. A church that makes disciples is full of people who exhibit “love, joy, peace, patience, kindness, goodness, faithfulness, gentleness and self-control,” the fruit of the Spirit (Galatians 5:22–23). A church made up of people exhibiting these characteristics is a magnet for both believers and unbelievers. Many families are made up of husbands and wives that are church attenders, but have never been discipled. Because they have never grown to spiritual maturity these couples live a life of carnality often leading to divorce. For those who do stay together and raise children, their children are void of parents who nurture them spiritually so, when they reach adulthood, these children often leave the faith for the rest of their lives. 7. Disciple-making engages the entire church body in the meeting of one another’s emotional, spiritual and physical needs. Over time, a disciple-making church is filled with people who need less counseling as those who have been discipled depend more and more on the power of God and the Holy Spirit, are mature in Christ so they are less conflictual and when conflict does arise they follow biblical directives to singularly clean up the mess that has been made if possible (Matthew 18:15-17), and who realize that it isn’t the church’s role to meet their needs, rather, it is their role to serve Christ through the church and, in so doing, they will be fulfilled. These seven ‘why’s’ of disciple-making will make a church that makes the gospel known, is a magnet for those far from Christ and believers seeking to be part of a healthy congregation, and makes it possible for a pastor to give his time to study of God’s Word, prayer and leadership. Are You Leading an Outward or Inward-Focused Church?